I recently tried a new tea from our well-stocked staff room kitchen and I have fallen in love. 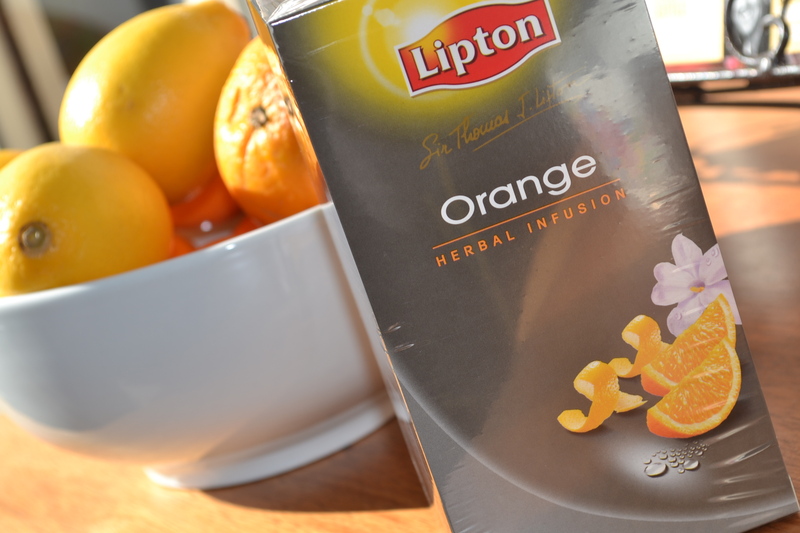 Since discovering the Lipton Herbal Infusions Orange Tea, I have not been able to stop drinking it. With the onset of Winter, I find myself struggling to reach the recommended intake of two litres of water a day, so this has become my solution. I find that if I carry a mug around with me during the working day, and refresh it about four times, it is almost the same as drinking that water from the tap. 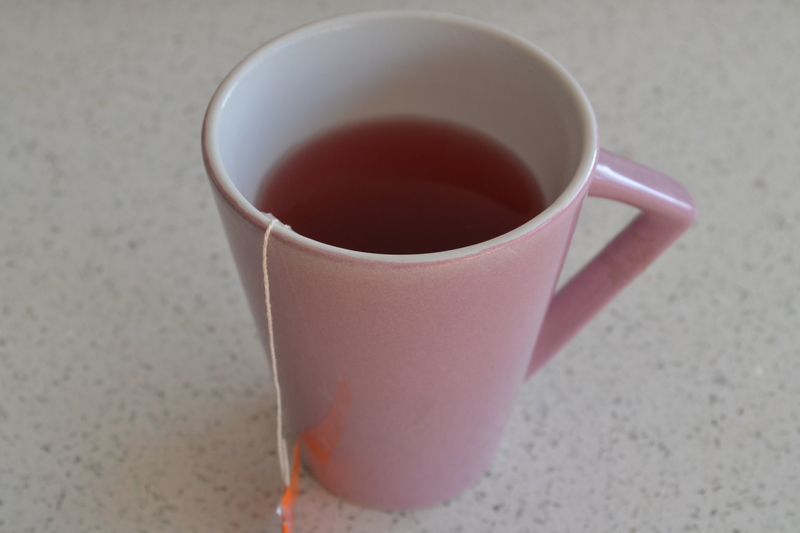 I am rather fond of the aroma that escapes from the mug also – it is refreshing and actually tastes as good as it smells, unlike many herbal teas I have trialled in the past. 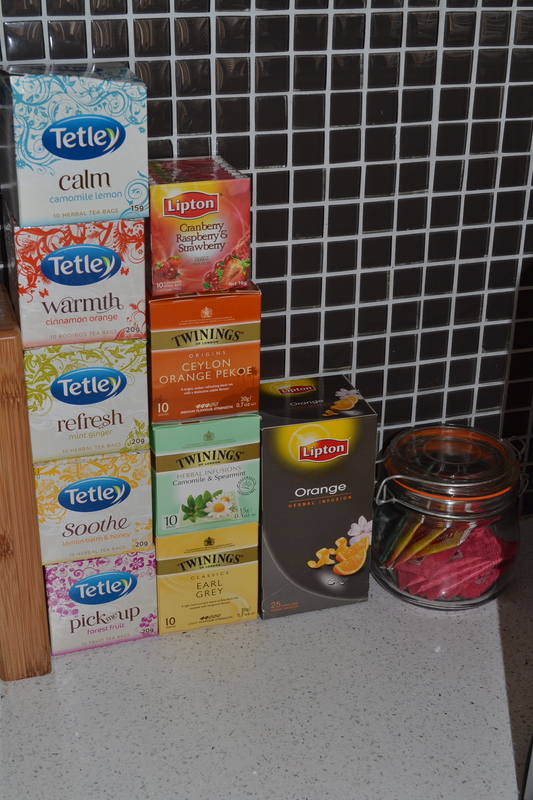 I am so fond of it, that I asked the Canteen Manager if she could order me in a box (as I also couldn’t find it at my local supermarkets) – she kindly did, and now I happily have a year’s supply of my favourite herbal tea….to add to my (somewhat enormous) herbal tea collection. 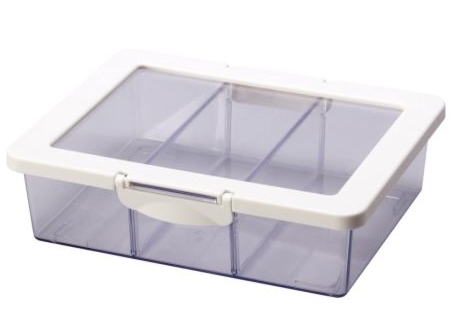 I am on the lookout for a suitable herbal tea storage box – the one I like the best, so far, is one that my lovely friend, Victoria owns, from Ikea. It’s simple and practical. 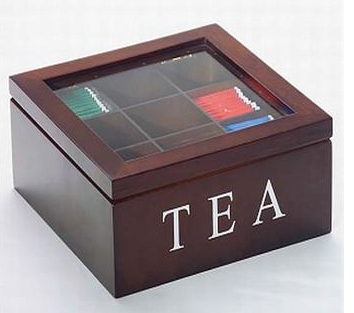 So there you have it…yummy orange tea and tea storage. Do you drink herbal tea? If so, what’s your brand and flavour? 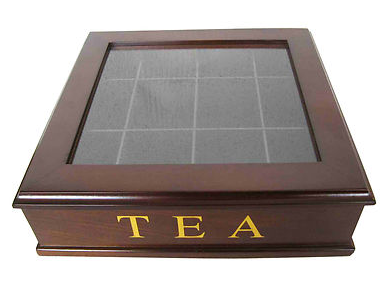 Which tea storage do you prefer? 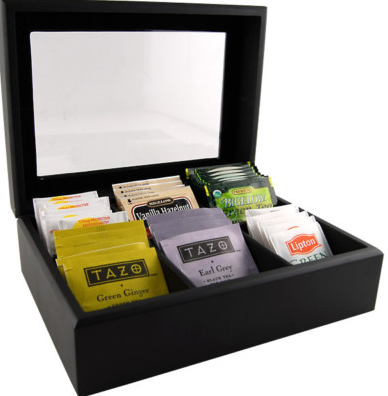 Or do you prefer tea boxes piled up on the bench like I have now? What were your thoughts after your trial?? Yum! Love a Lady Grey! 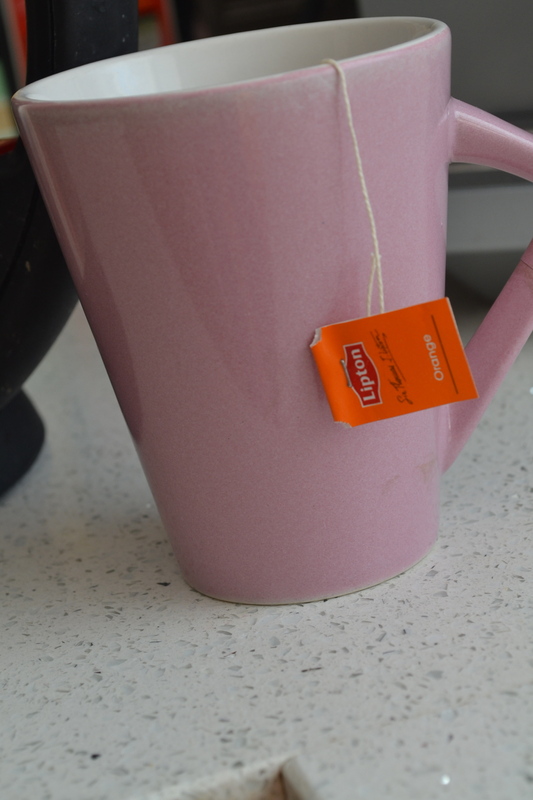 You are so right… tea often smells better than it tastes! I love my first cuppa in the mornings! My favourite for the last two years is anything by nature’s cuppa, I find the flavours really robust, clear and very crisp in a lovely aromatic clear tea way. I also have a thing about the cup that I have them in, it must be fine bone china, with the right weight when held, and (very important) white on the inside. I also like Orange Peko from the T2 range, a very strong clear flavour. I like it too, but cannot seem to find a place in Melb. that sells it. Can you help?